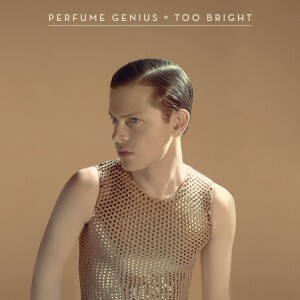 Perfume Genius’ new album “Too Bright” the real deal. Too Bright is the third album from Mike Hadreas who performs as Perfume Genius. He’s the latest to be officially anointed by the grown-ups in the music press, but happily, after the disappointment of the recent and similarly lauded FKA Twigs album, this time round it’s the real deal. Hadreas has brought in the Portishead guitarist Adrian Utley for production duties, while long time PJ Harvey collaborator John Parish sits in on drums for a number of tracks. Hadreas has said that Harvey is a major influence, the other being Nina Simone. And that combination of raw, emotional pain and carefully wrought musical textures with a decided edge are what best describe the feel of the album. But there are also quieter more lyrical moments, as with My Body (T5) where he seems to be channelling Ricky Nelson’s Lonesome Town. And others where the presence of Antony and the Johnsons can clearly be felt. The boys from Pitchfork give it an impressed 8.5 here. And you can see the video for Grid here, and for Queen here. 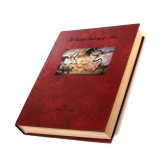 And you can read Sasha Frere-Jones piece on him in the New Yorker here. Sign up for a subscription right or below and I shall keep you posted every week on All the Very Best and Worst in Film Televisions and Music!